Sweet Petite - Cult Classic Cookies: The Prisoner! There’s definitely a theme occurring here on Sweet Petite! As you probably already know I’m a bit of a telly addict! And I may have mentioned my love of the new Hawaii 5-0 once or twice! My new favourite, is ironically one of the oldest shows I’d ever watched! 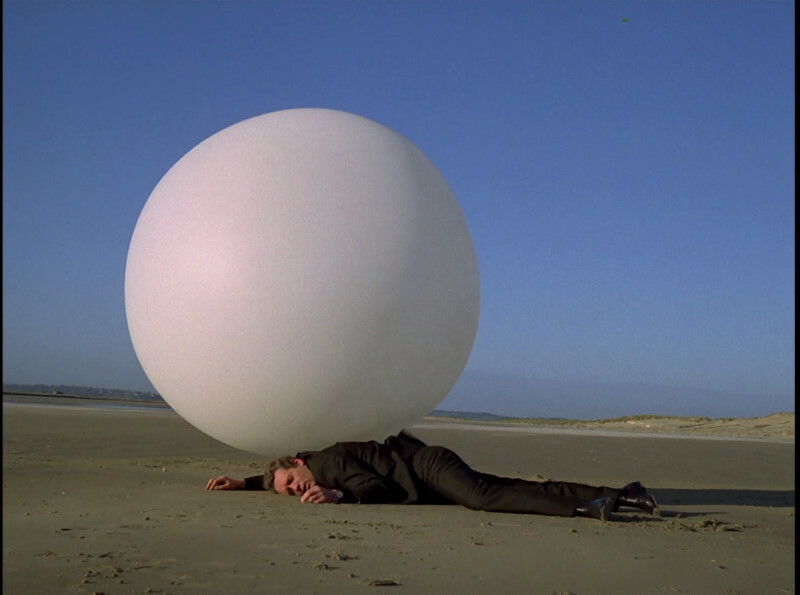 How I’ve gone all my life without watching The Prisoner is beyond me. It’s a brilliant British Classic! Surreal, very 60s and a total mind bender but brilliant all the same! A big thank you to my colleague Lisa who introduced me to it by lending me her DVDs! 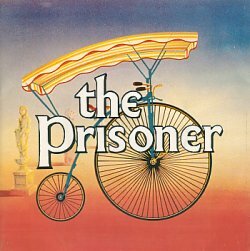 If you’re unfamiliar with The Prisoner it is centred around a spy (played by the amazing Patrick McGoohan) who resigns his job for an unknown reason but before he leaves for sunnier climes he is gassed and brought to ‘The Village’ a very sinister place. No one is allowed to leave, everyone is watched and all are assigned a number. Our main character is number 6. And the powers that be want to know why he resigned his job and ‘by hook or by crook’ they try to crack 6 and find that out. I totally love this show and with only 17 episodes ever made, I recommend anyone give it a try. Anyway, enough of me rambling! Onto the biscuits!!….. OK, if you’re not familiar with the show you’re probably stuck! The Penny Farthing is a symbol seen around the village, there has been a lot of debate as to what it actually stood for (as well as a lot of debate on what the whole show meant but we’ll not get into that!). For this I filled a circular biscuit with white and realised I had created a rover biscuit without even trying! The villagers were always seen with a gorgeously coloured umbrellas so to add a splash of colour I made some. I drew on the umbrella with a food marker to break it up into sections and waited 20-30 minutes between each colour, just like I did for my British Weather biscuits. So there you go! My little tribute to a really cool show! What do you think? p.s. I think I could get used to signing off all my posts with ‘Be Seeing You’ but I won’t. I’m not that sad. honest! p.p.s. Yes, I actually am that sad, but I won’t!!! I'm your newest follower. 🙂 Please feel free to check out my blog and follow back. I look forward to reading more of your posts.